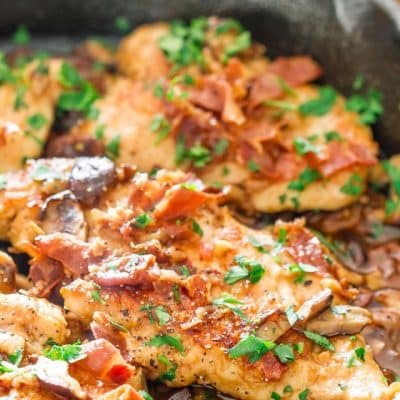 Chicken Marsala with Shiitake Mushrooms and Prosciutto – an Italian classic that’s a quick and easy family favorite dinner recipe. Delizioso! 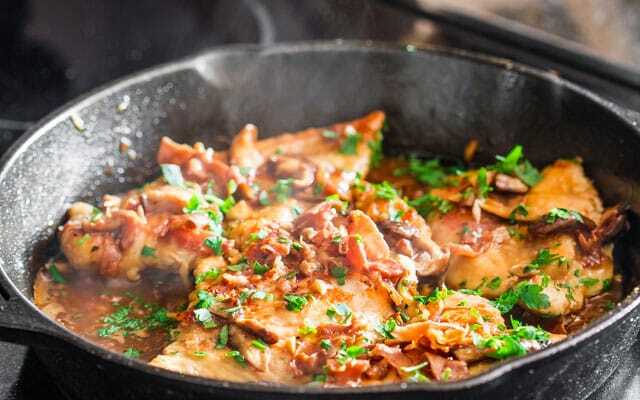 Chicken Marsala is one of those classic Italian American dishes that I really love, especially its simplicity. 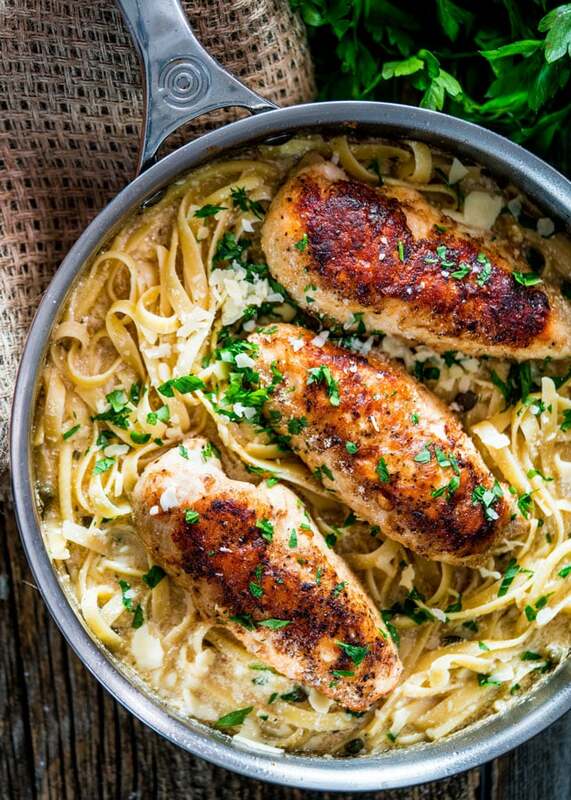 It’s one of my favorite goto easy weeknight dinners. 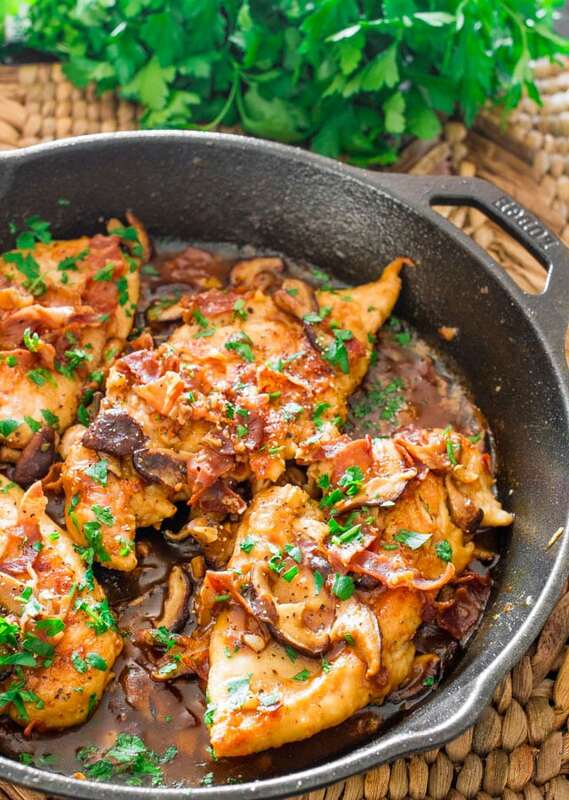 It’s a simple dish traditionally made with chicken cutlets, mushrooms and Marsala wine. 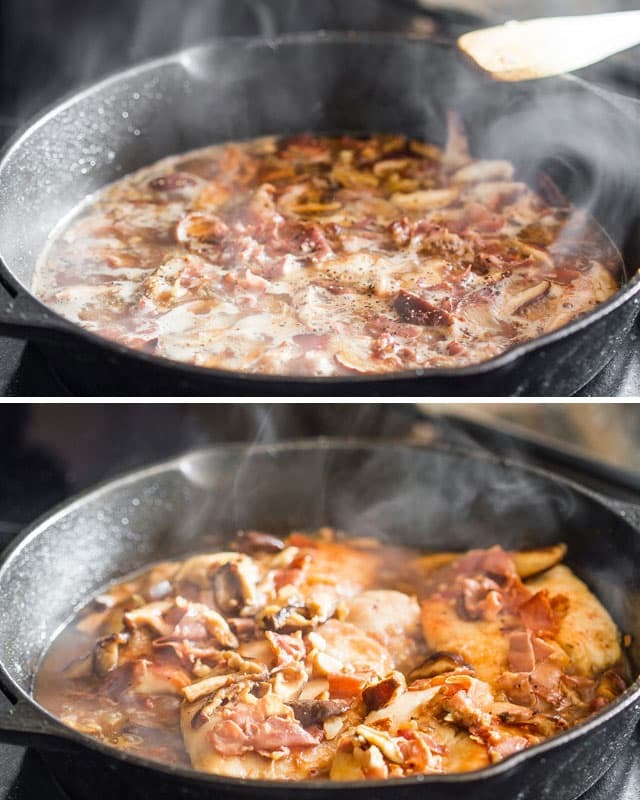 Here I wanted to change the classic recipe a bit and use my favorite mushrooms, shiitake mushrooms and add a bit more flavor by adding a bit of Prosciutto. Prosciutto is a dry-cured ham that is usually thinly sliced and served uncooked. If you don’t have prosciutto you could use bacon as well or just skip it completely. I used 2 chicken breasts which I cut down the middle to make 2 pieces from one breast. You then pound the chicken to thin it out. 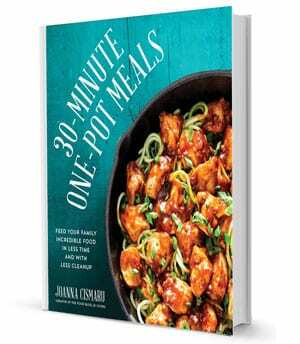 This is a great way of shortening the cooking time for chicken. Just as with Lemon Chicken Piccata, the chicken is dredged through flour and pan fried in a little bit of butter and olive oil. 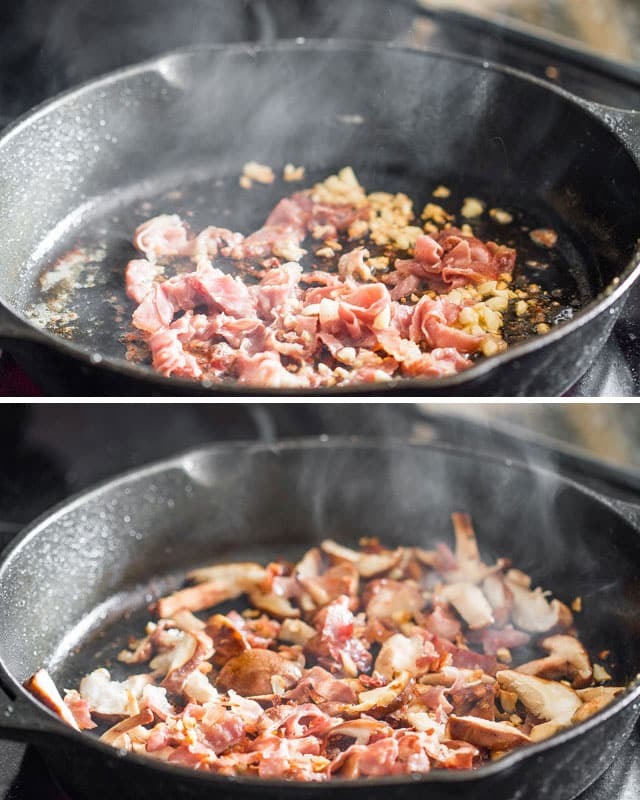 I added a few cloves of garlic together with the prosciutto to the skillet and just pan fried for a minute after which the mushrooms can be added. Regular mushrooms work just as well here. 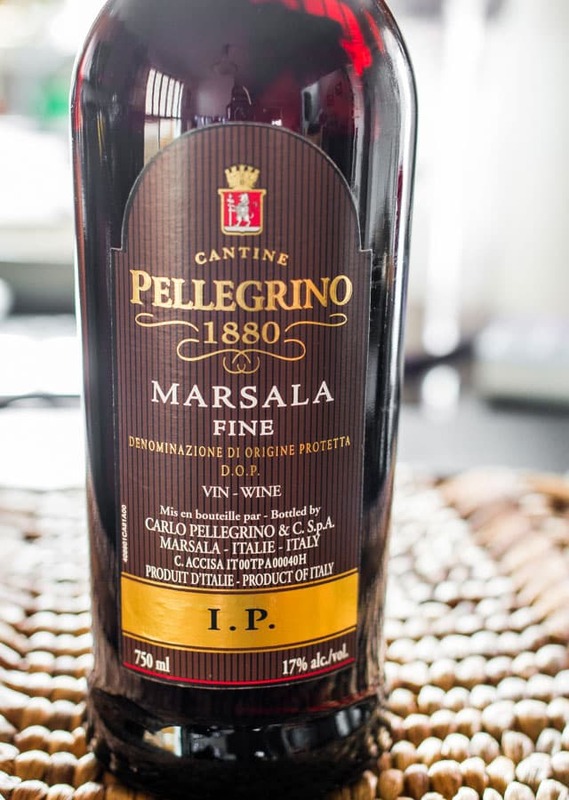 You’ll need to use Marsala wine, dry is usually best for this dish. Let me just tell you I love this wine, I could not stop myself from drinking a bit while cooking. Yummy! To the skillet you can add the wine and chicken broth and now’s the time to season with a bit of salt and pepper if needed. To thicken the sauce you can add a bit flour and just cook it for a couple minutes until the sauce reduces a bit at which point the chicken can be added. All that’s left to do is cook this for a few more minutes and dinner is served. This is a dish that is perfect if served on its own, but can be served with pasta, roasted potatoes or any side of vegetables. 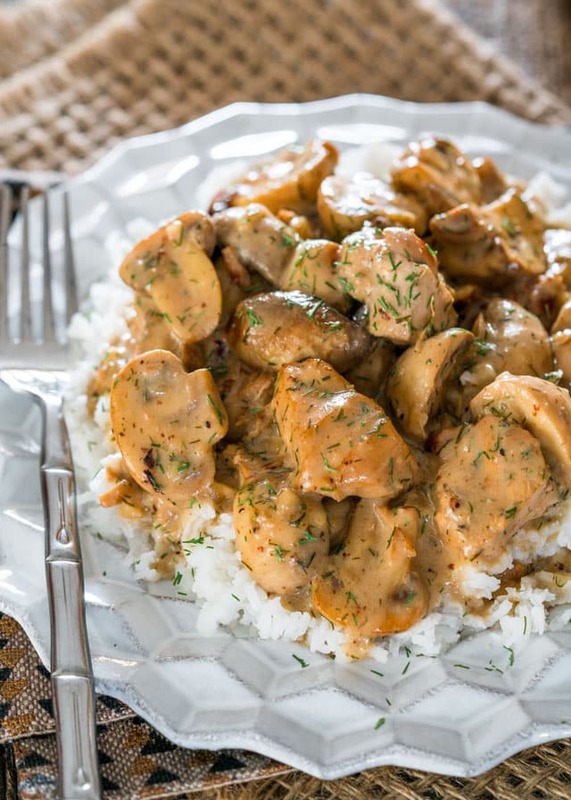 This chicken marsala is great on its own, however you can also serve it along different side dishes. 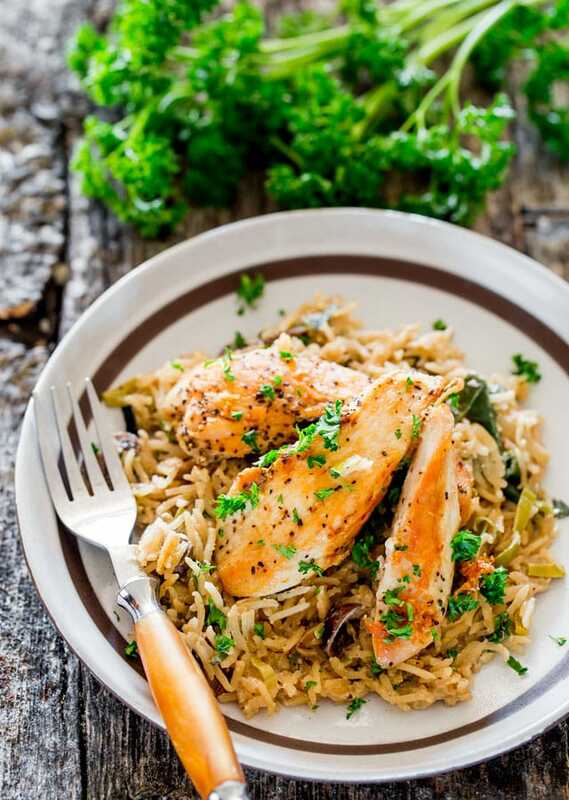 Some side dishes include pasta, rice pilaf, roasted potatoes or mixed vegetables. If you're using 2 large chicken breasts, cut them in half lengthwise, since they may be too thick. Place the chicken breasts in between plastic wrap and pound them with a meat mallet so that they're about 1/2 inch in thickness, making sure not to break the meat. Add the cup of flour to a shallow plate, add salt, pepper, oregano and mix well. 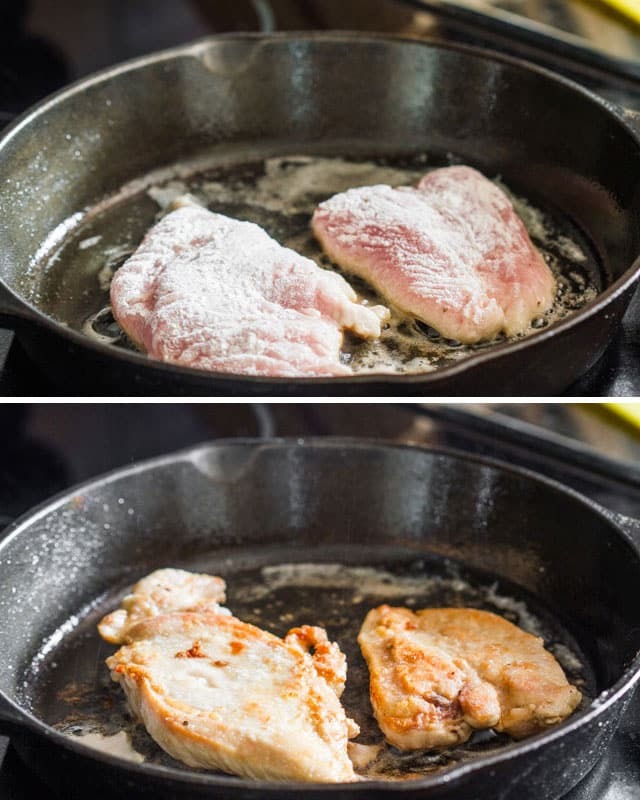 Dredge each chicken breast through flour and set aside. In a large skillet heat 1 tbsp of olive oil with 1 tbsp butter. Add a couple pieces of chicken at a time, you don't want to crowd them, and cook until it starts to brown, about 3 minutes per side. It's ok if it's not cooked through completely. Repeat with remaining chicken. In the same skillet add the other tbsp of olive oil. Add garlic and prosciutto and cook for about a minute. Add mushrooms and cook for 2 minutes or until they start to brown slightly. Add 1 tbsp of flour and stir. Pour wine and chicken broth to the skillet and stir and make sure you scrape the bottom of the pan. Season with salt and pepper if needed. Let it simmer for about 5 minutes. The sauce will start to thicken a bit. Add chicken to skillet and cook for another 5 minutes until sauce reduces and thickens a bit more. 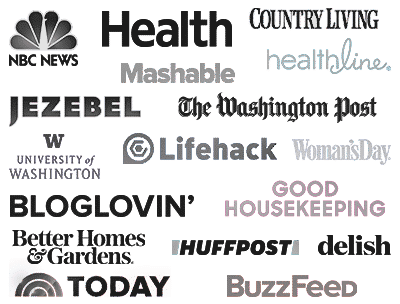 Can I use butter flavored olive oil instead of butter in the picCata and Marsala recipes? You can! The only thing about olive oil vs butter is that is won’t mix into the sauce quite as well. Can I use dried shiitake mushrooms? You can, but you’d have to soak them in water first. Awesome, glad you liked the recipes! 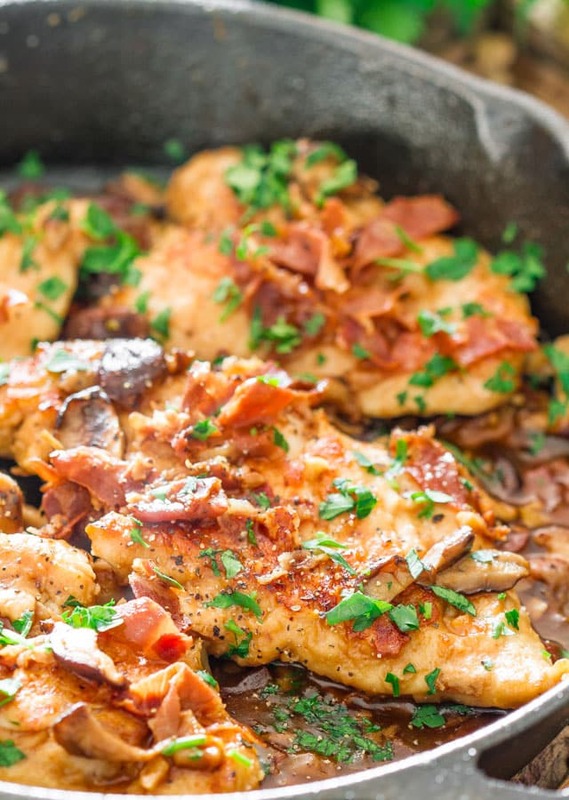 loved loved loved this recipe, particularly with the prosciutto and oregano! Added 8 oz of button mushrooms and doubled the broth and flour as my husband likes extra gravy and mushrooms. Looking forward to trying chicken piccata next. I wished though I could see the print better when I print recipes… Too light. Glad you liked it Carol. Will look into the print button. Wonderful recipe….. 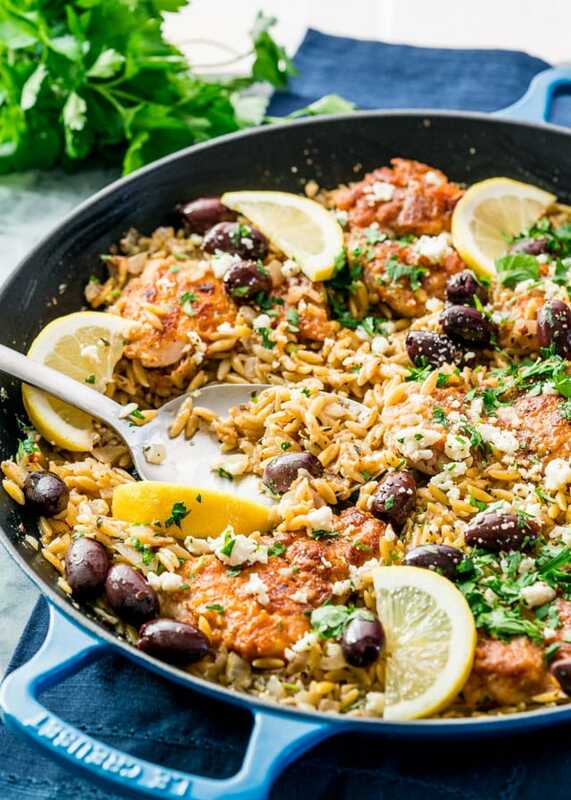 I made this last night for dinner and we have a new family favorite! I love prosciutto!!! Love that you combined all these amazing flavors together. Can’t wait to try it out, PINNED! Wow that looks a-may-zing!!!! 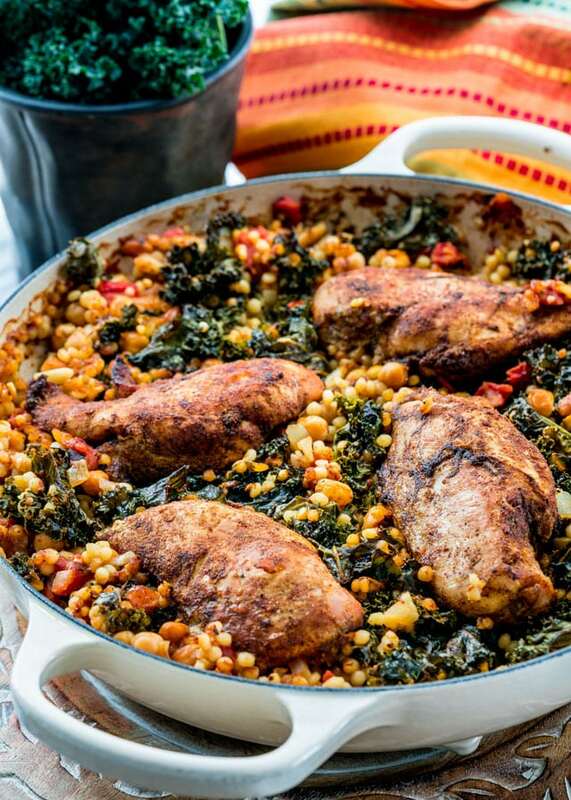 Looks so savory and perfect for a quick weeknight meal! Cant wait to try.